Genetically modified foods are at the heart of controversy involving science and our food supply. Transgenic organisms have for the first time been introduced into the human food supply and we really don’t know what the consequences are for introducing the transgenic organism into our food supply. The term genetically modified foods is usually used to refer to crops which have been genetically modified by making changes to their DNA structure, sometimes splicing in genes from a completely different plant or even an animal! For instance genes from cold-water fish (salmon) that have the ability to resist the cold due to a kind of natural “anti-freeze” in their blood have been inserted into a vegetable in order to make it frost resistant. GMO foods are rationalized as a way to get better crop yields and improved nutrition to feed the human population. This is a laudable goal, but it isn’t quite as simple as some would like to believe. A transgenic organism carries with it a degree of risk, because for the first time in history we are crossing genes from completely different plant and animal species. There is no way to know for certain what potential problems this may cause. There are as of this writing more than 40 genetically modified foods currently being sold or grown in the United States. Gene splicing techniques used to create a transgenic organism are still not sophisticated enough to ensure there are no unforeseen problems. Genes from animals and even human beings are being inserted into the DNA of transgenic organisms such as plants, fish, and other animals. The consequences of this genetic tinkering are almost unfathomable. Any one of these issues should be reason enough for us as a society to put the brakes on this runaway bio technology, at least until we can put enough safeguards in place to prevent such catastrophic and unintended consequences. There is considerable concern by health conscious consumers and countries as well regarding the safety of GMOs, and how they are identified and differentiated from standard non-GMO food crops that do not contain a transgenic organism. 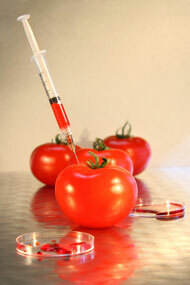 In the US, the FDA has proposed labeling laws that would prohibit foods from being identified as GMO. This is likely due to pressure from Agri Business companies that fear that many consumers will avoid their products due to concerns over safety. The European Union has established labeling regulations that mandate the identification of food crops as being genetically modified foods when being sold in EU countries. This reflects greater concerns over genetically modified foods by European consumers. GMO foods are being aggressively marketed especially to the American consumer. They are claimed to be perfectly safe and to be an improvement upon the foods humans have been eating for thousands of years. This is what you would expect from the Agri Business industry, but there are no long-term studies to back up their claims of safety. Until such studies are done, it would be safer to avoid these foods and stick to conventionally grown or organic food crops. Americans have about a 70% chance of consuming GMO foods due to their prevalence in our food supply. Products that contain derivatives of corn or soy are most likely to be made with GMO foods, and contain transgenic organisms. Cotton, canola, squash, and papaya are other crops that are likely to have been grown as a transgenic organism. To avoid GMO based foods there are several things to keep in mind. 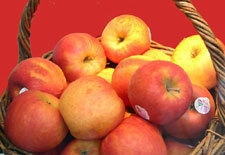 Avoid processed foods whenever possible and look at the PLU codes when buying fruits and vegetables. PLU or “price lookup” codes are numbers assigned to produce and other products to make inventory control easier. They also denote whether the products are standard, organic, or genetically modified foods. The best choice is of course organic if you can get it, then standard. Again, it would be wise whenever possible to avoid GMO foods, as the long-term effects of these transgenic organisms in the human body have not even been studied. A transgenic organism is a patent-able form of life that carries with it risks that humanity has never taken before. At the very least we need to proceed very carefully (if at all) in this new realm of technology. I used to think that that activists were troublemakers. That was before I understood what can happen when we allow our values to be undermined and distorted by greed and the desire for power and control. Genetically modified foods and the transgenic organisms in them do not just represent a danger to our health; they are potentially a danger to the very existence of humanity. We are just smart enough to be dangerous to ourselves, but not wise enough to know it.